Many of the tributaries in this subwatershed originate in the New Jersey Pinelands. As these waterways make their way to the Barnegat Bay estuary, they are bordered by large areas of protected salt marsh. 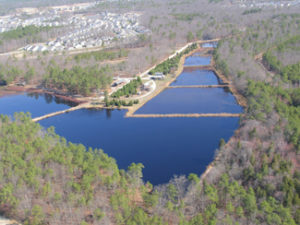 The Mill Creek and the Westecunk Creek are grouped hydrologically into one subwatershed and include Cedar-Manahawkin Creek, Cedar Run, Dinner Point, and Mud Cove. The Mill Creek lies north of the Westecunk Creek. It originates west of the Garden State Parkway in the New Jersey Pinelands. As it flows toward the Barnegat Bay estuary, however, it passes through heavily developed areas in Stafford Township, such as the Beach Haven West neighborhood. Further south, Westecunk Creek also originates in the New Jersey Pinelands. It flows through Stafford Forge and continues alongside of Dock Road in Eagleswood Township on its way into the Barnegat Bay estuary. Tributaries to the Westecunk Creek are the Swamp Branch, the Governors Branch, and the Rail Branch. The Mill Creek’s main tributaries are Eightmile Branch and Fourmile Branch. Overall, this subwatershed has little development compared to subwatersheds in the northern part of the bay’s watershed. However, there is heavy development in areas south of the Cedar-Manahawkin Creek and Route 72 in Stafford Township. This subwatershed contains portions of the Stafford Forge Wildlife Management Area and the Barnegat Division of the Edwin B. Forsythe National Wildlife Refuge. 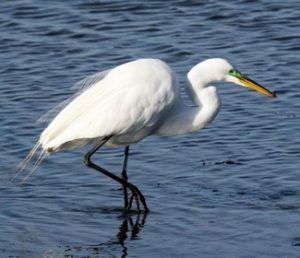 The wildlife refuge is located north of Cedar-Manahawkin Creek up to Double Creek Wide Place opposite Bay Shore Drive in Barnegat Township, and from Mill Creek south to Dinner Point. Within the Cedar-Manahawkin Creek area of this subwatershed is the Manahawkin Wildlife Management Area –1641.99 acres of publicly-owned, state-managed lands in Stafford Township, on which fishing and hunting are permitted. There is also a public boat lauch on site. Along Mill Creek, there is also Lake Manahawkin, which provides recreational opportunities.